New - Double-sided check magnet! VSI start with listening to what a customer’s needs are and taking inventory. After that they give you solid advice, supply the materials needed and help you implement the newly acquired knowledge and tools in the production environment. We train employees in hands on workshops and challenging training sessions. Working together to optimize your production, reduce mistakes and waste and make all processes within your company as safe as possible. Visual management helps to improve performances by using attention grabbing and eye catching visual means. In one glimpse of an eye information is transferred by means of colourful lines, signs and symbols. Visual management helps you to streamline work processes and maintain high quality standards. 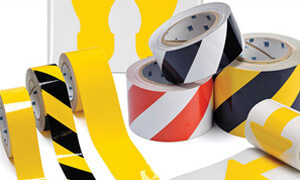 VSI have the broadest range of quality products (brands like Bott, Orgatex, Floormark, Altrex, Dancop) for visual management, 5S and workplace equipment as well as tools to improve safety, work clothing, lean tools, floor marking, kan ban and shadow boards. 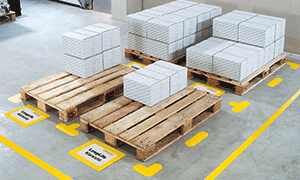 VSI also offer white boards, safety mirrors, workbenches, signage and logistic tools like fiforails, flowracks and means of transport to be used on plants and workplaces. VSI can give you that one stop solution, so feel free to browse through all we have to offer.